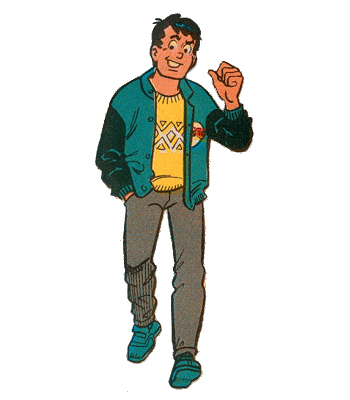 Reggie Mantle, the Eddie Haskell of the Archie gang. I believe I am only two grocery store trips away from buying the Archie comic book that I’ve been secretly reading lately. For years I would self-consciously pick up the tabloids and hope that no one I knew would see me flipping through one. 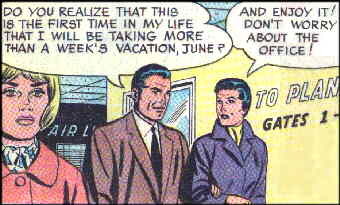 These days I could really care less if George Clooney’s marriage is over or not, but I am more and more interested in the exploits of Archie and his pals. Actually buying the comic book will make a big statement, though. It says that I am committing to this purchase; I am coming out of the closet and making a public disclosure that I don’t give a damn what you think at all. Say it loud, say it proud: I love comics. As the youngest boy with three older sisters, I grew up reading their many cast off magazines. I was fully aware of Betty and Veronica’s rivalry, Archie and Jughead’s friendship, and the pest who was Reggie Mantle. 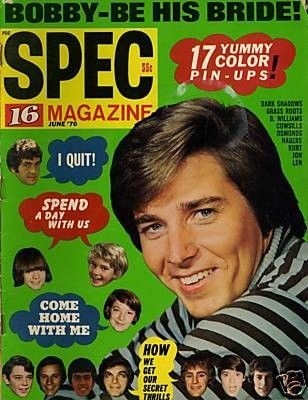 I also learned from 16 Magazine and Tiger Beat about the kind of girl Bobby Sherman wanted to date, and what Maureen McCormick was dishing about the Brady boys. It took a while for my busy parents to notice when their son was no longer reading Curious George and Beatrix Potter books anymore. I assume they were probably concerned that I was reading my sisters’ magazines (heavens!) because in due course I received my very own subscriptions to Boy’s Life and the National Geographic School Bulletin. In fact I immediately loved both of those magazines, but I initially felt it unjust that I was given serious magazines while my sisters were allowed to have ones that were solely for fun. My youngest sister silently showed me the path beyond bitterness by reading my magazines in addition to her own. It took me years to fully understand the greater message at play here, but for the time being I did learn to have my cake and eat it too. With consistent regularity, I always read the daily comics in the newspaper — Peanuts, Family Circus, and B.C. were my favorites. My dad turned me on to the serial strip Gasoline Alley and the extended family of Uncle Walt and Skeezix. My mother in due course introduced me to Apartment 3-G and Rex Morgan, MD. I can still hear her complaining aloud how she wished Rex would get off his duff and marry June already (which they finally did but not until 1995). If you were lucky and lived in certain Midwestern states, you could follow the exploits of high school coach Gil Thorp and the adventures of his football, basketball, and baseball teams at the fictional Milford High. When I got a little older, I started to enjoy Doonesbury for all the same reasons because you could follow the same characters for years. During the junior high and high school years, I acquired an addiction to Mad and Cracked Magazines. 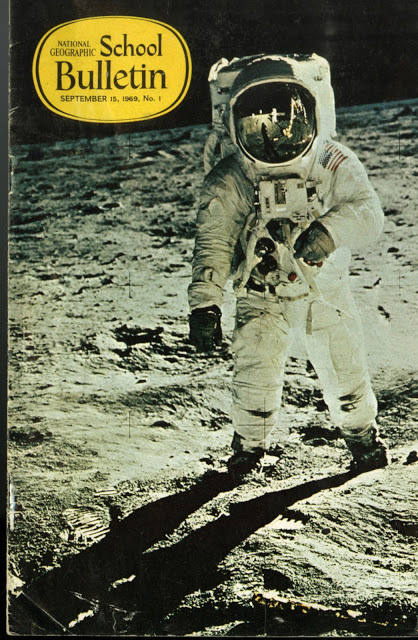 Cracked was always considered inferior to Mad, and indeed it was. But you still ended up reading it because after repeatedly reading the new Mad issue cover-to-cover only three days after purchasing it, you realized that it would be another whole month before the next one would become available. So Cracked was that second-best option to keep you occupied. My parents were initially very suspicious of Mad because in their eyes it didn’t offer any intellectual value (but 16 Magazine did???!). Thankfully, my dad began laughing uncontrollably after finding my copy in the living room one time, and I knew it was going to be okay after that point. True as Joni Mitchell sang, “cartwheels turn to car wheels,” and by the time I graduated from high school my reading of comics began to ebb. Suddenly Rolling Stone, Melody Maker, and Crawdaddy magazines were the staple of my reading. Thankfully, I also discovered the beautiful worlds of John P. Marquand, James Michener, Leon Uris, and John Updike to broaden my horizons. Still, the activities and whereabouts of Keith Richards, Peter Gabriel, and Stephen Stills dominated my interests more. My Walter Mitty world was alive and well, and I was a rock star who played on a world stages to cheering crowds. In due course I became a full-fledged adult with responsibilities and a career that ironically focused on books. I finally became a voracious reader of both fiction and non-fiction, classics, pop-culture, and the occasional legal biography to enhance my chosen vocation as a law librarian. The comic pages were a distant memory for me. Even Doonesbury, which I still faithfully read, was pushed to the opinion page of the paper because of its sometimes controversial content. Besides, Charles Schulz was dead — I found no reason to go back. Long live Charlie Brown. Enter retirement. One of my absolute goals now is to be able to read the books that I’ve previously avoided because they looked too big, wordy, or otherwise time-consuming. I am now finally completing the fascinating Robert Caro volumes on Lyndon Johnson, and I have every intention of devouring more by Doris Kearns Goodwin, David McCullough, and Arthur M. Schlesinger, Jr. I can’t wait to re-read Kingsley Amis’ “Lucky Jim,” Mark Twain’s “A Connecticut Yankee in King Arthur’s Court,” and I’ve promised fellow blogger Kate Loveton that I will read Pan Conroy’s “The Great Santini” someday soon. I have no time to work, dammit, there’s too much to read. The comics, however, have also come raging back as a focal point too. I religiously read the Sunday funnies now, and while I sadly don’t laugh at everything I see — please answer me truthfully, were Nancy and Sluggo ever funny? — I still enjoy looking them over with my cup of coffee. “Dilbert” continues to be hilarious; “Blondie” I still love if for no other reason than for being able to see Daisy look up at Dagwood when he talks to an empty room; and I still get a grin out of Hagar The Horrible. Frank and Earnest I could totally do without, though. Which brings us back to the adventures of Archie and his friends. There’s apparently much that I’ve missed from these characters over the last 40 years or so. Supposedly the owners of the comic created an adult version of Archie some time ago, and Archie was tragically killed off in it only last year. I couldn’t believe my eyes when I saw the headline about this. Archie killed? How could they?! But thankfully, the young Archie and his merry friends continue to live on in Riverdale. They are still in high school and hopefully “Pops” remains their dining hangout. I don’t know about any of this for sure because every time I pick up the latest edition in the checkout line, I seem to get through barely a half a page before I have to put it down and pay attention to the cashier. I haven’t gotten the nerve up to actually purchase my own copy yet. I’m going to get over my fear, though. Just like the Penthouse magazine I bravely bought when I was 14 at the mini-market one town over from my city, I’m going to sneak in the latest adventures of Archie along with a carton of milk, a dozen eggs, cheese, four bags of potato chips, and seven bottles of wine that I’ll be purchasing as a diversion. Hopefully, the cashier will be too busy to notice or say anything. If you see me, I’ll be the guy wearing dark sunglasses and a hat. Please don’t say hello. Those comic book days were so long ago but so wonderful! I can just see you sneaking in Archie with a bunch of groceries thinking you’ve got it made. Suddenly, from the cashier, ‘Herb, price check on an Archie comic book…” Busted. I did read a lot of the comics growing up but they seem to have changed so much last I looked. Now, the wife shows me ‘Mutts’ in the paper every weekend which is about a dog and cat doing very simple things and extolling the virtues of adopting shelter pets. They even made a play out of that somehow which showed at the Kennedy Center not that long ago. A far cry from the Superman comics I used to read. Enjoy your comics. You’ve earned it! Thanks! My most lame post yet, but it just had to be written. Long live Jughead!